Vieques Island Victim of Navy Bio Weapons Gets VA Comp - 14 Years Later! Fighting for veterans’ rights is seldom easy. Sometimes, the fight can take many years, and nothing compares to that moment when an honorable serviceman or woman receives the benefits they are rightfully entitled to. The system is far from perfect, and for my client, Hermogenes Marrero, that turned out to be tragic. 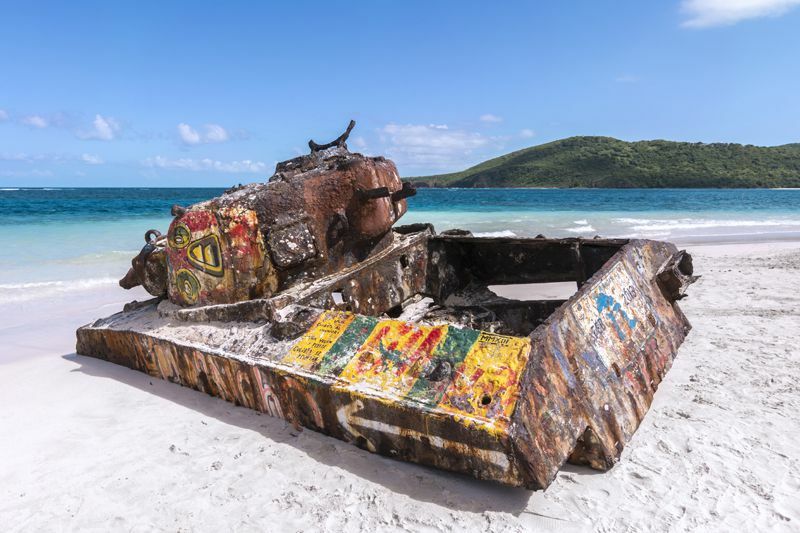 As a young Marine Sergeant, Marrero was stationed at the Navy’s Camp Garcia in Vieques, Puerto Rico, which was closed in 2003, after a horrifying history spanning over half a century. From the use of the infamous Agent Orange and uranium to dangerous chemical weapon drills, the marines who served at Vieques, were exposed to some of the most hazardous materials imaginable, including the carcinogenic trioctyl phosphate, among other deadly substances. When my client was appointed to his post in Vieques, he was not informed about the level of danger he would be exposed to. But he would soon learn about the consequences of the exposure, as he went on to develop a ghastly series of serious medical conditions following his service and, as we have now proved, as a consequence of the nature of his work at Vieques. Nearing 65, Marrero is almost blind, he needs a wheelchair and an oxygen tank, suffers from Lou Gehrig's disease, and has a host of other maladies from cancer to heart disease. Between 1970 and 1972, when his job consisted of assisting officers during the testing of hazardous airborne chemicals on animals, he would often ask the camp’s chemical experts whether what he was doing was safe. “It's safe, you'll be O.K., kid,” they used to tell him. But in the end, it was far from safe, and he is now far from OK as a result. According to Dr. John Wargo, an expert on the effects of toxic exposures on humans, Vieques “is probably one of the most highly contaminated sites in the world.” Wargo has also explained that this is a result of “the longevity of the chemical release, the bombs, the artillery shells, chemical weapons, biological weapons, fuels, diesel fuels, jet fuels, flame retardants,” which have been released on the island. In spite of the abundance of evidence regarding Marrero’s ordeal, the VA spent over a decade refusing his disability claims. He was the star witness in a large-scale lawsuit by some 7,000 inhabitants of Vieques island, who claimed they had been getting sick as a result of what was going at Camp Garcia. This year, my client’s claim was finally approved. This doesn’t have much of the flavor of victory for Hermogenes Marrero, a sick and aging man whose life has been ruined by his service to our country. But it is a massive victory for the community of veterans as a whole, and for the people of Vieques. This determination of service connection represents vindication, and every individual whose rights have been violated will now know that there is hope of being heard and compensated. Both Mr. Marrero and I are dedicated to helping those affected. As he dedicates the rest of his life to help those who have suffered as a result of Vieques’ toxicity, I am personally determined to assist everyone I can, in receiving the benefits the military should have granted them decades ago. It is shameful that the VA has worked so hard at trying to deny that Vieques was one of the most covertly dangerous spots on US soil. But with every individual that comes forward, more light will shine on this dark chapter of our military history.